I’m an avid football fan. This morning I was watching the NFL channel as they interviewed Larry Fitzgerald from the Arizona Cardinals. He said, “Pressure Is a Privilege.” He was of course talking about the pressure his team is sensing with the loss of their quarterback and their push for their division’s title which would give them home field advantage if they were to do so. I am not an Arizona Cardinal football fan, but I am a fan of pressure. Back along my spiritual education path, one of my mentors said, “Welcome Pressure.” At the time those words did not sound inviting. At the youthful age of 64 (well, almost 64 — exactly 31 days from today, but who’s counting), I can say I understand those words, I acknowledge them as part of my daily living. The world’s ways (which are not my ways) are to eliminate pressure, to find someone to blame for the pressure, to pursue violence in the name of pressure. Accusation, blame and criticism are the results of allowing pressure to dominate, rather than allowing pressure to build and release as a creative process. When pressure begins to build and I am not aware of its intensity, anger is the emotion that shows itself. There was a time when I did not know how to creatively release anger…and when anger raises it’s ugly head and I don’t release it creatively, it winds up locking itself up somewhere in my body — usually in my neck or shoulders. Anger is ancestral; not just in my family ancestry, but in human ancestry. Two days ago I felt my father’s presence (he’s been deceased since 2005). I remember saying, “Hi daddy.” I waited to see if there was a message of some kind. Nothing. So I went about my day and that night I had a horrible nightmare. I woke up the following morning with my shoulder and neck locked up in pain. There was nothing I could do or did do that relieved it. I sought out help from a healer who told me that my pain was ancestral on my father’s side. She knew nothing of the visit from my dad. My dad had a quick temper; other than anger, I really never saw him emote much at all. The anger was never directed at me or anyone in my family to my knowledge. I recognize that anger in me. So last night I set the intention to resolve the pain in my shoulder. The message during the night was “release the guilt, you are enough.” I’ve never been troubled by guilt — except for the fact that I never took the time to really know my dad until I was much older. I realize now that I’ve been holding that guilt in for quite some time. As soon as I embodied the message of releasing the guilt and realizing that who I have become would make my father very happy, my shoulder pain released. Magic. How about you? 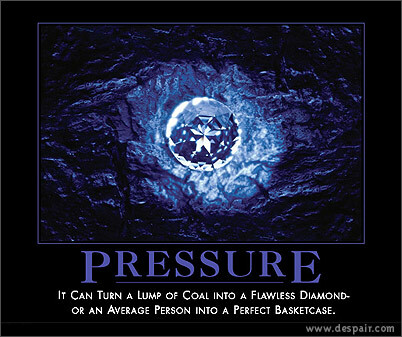 Are you a flawless diamond in the making or is life making you a basket case? 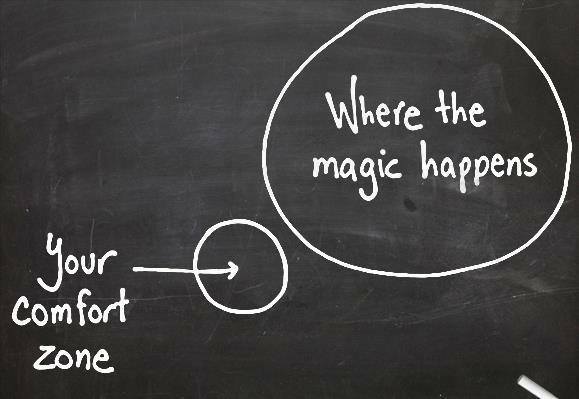 What do you do to allow the pressure to release creatively? I dance, I meditate, I share Reiki, I dabble in Tarot reading. I am grateful for pressure. I sense myself to be very much in the process of becoming a flawless diamond. Thank you daddy.